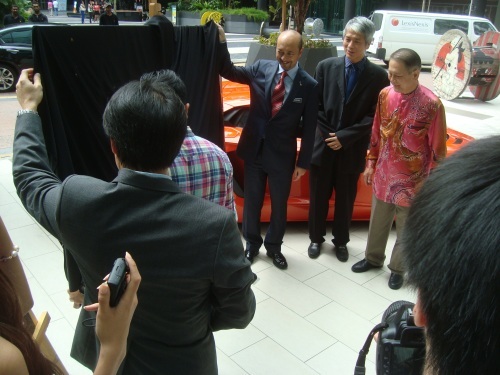 In March 2012, Fuman Art organized an art event in the Lamborghini Kuala Lumpur showroom in Glenmarie. The artist chosen, Gustavo Charif, a talented, mid-career, Argentine artist, was invited to Malaysia for a residency program. His style and personality fitted the attitude Lamborghini stands for. 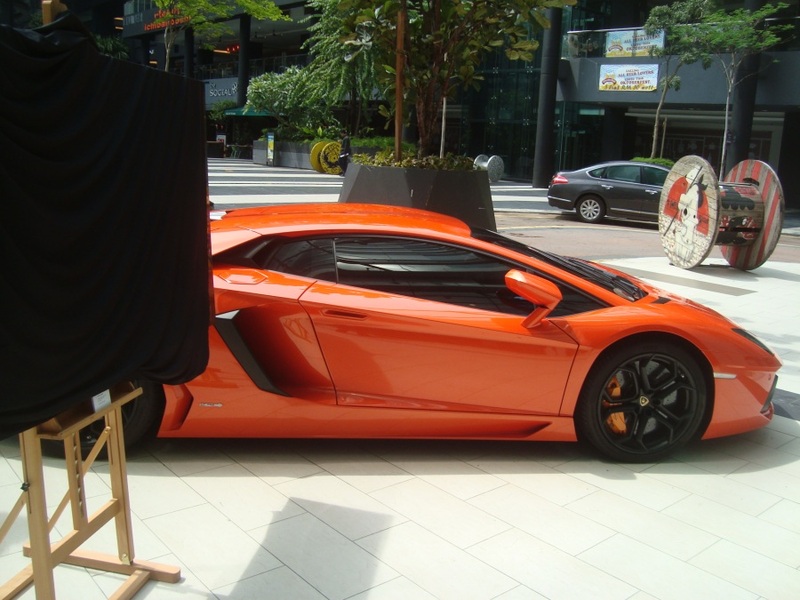 The “Lamborghini Odyssey” project was conceived as a fringe event to Art Expo Malaysia 2012 and an opportunity to show how art and lifestyle blend. 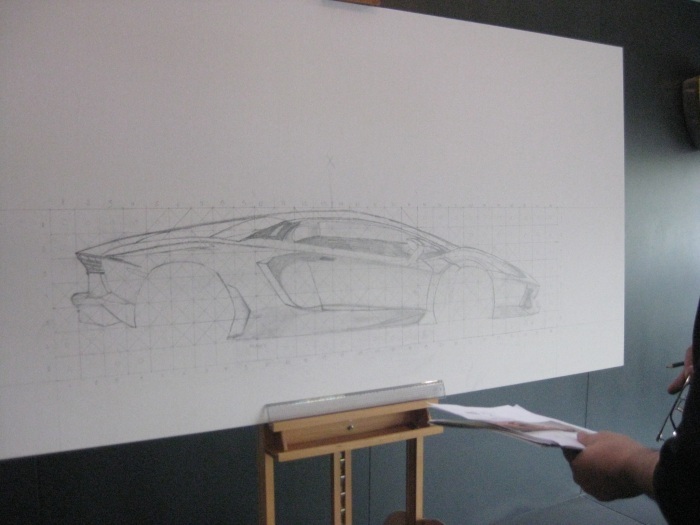 The public was invited to the Lamborghini show room to witness the artist paint live the portrait of an arancio argos Lamborghini Aventador. The project is also about contributing to the growth of an uncompromising art scene in Malaysia and promoting the awareness of how beauty and style make our lives more exciting. 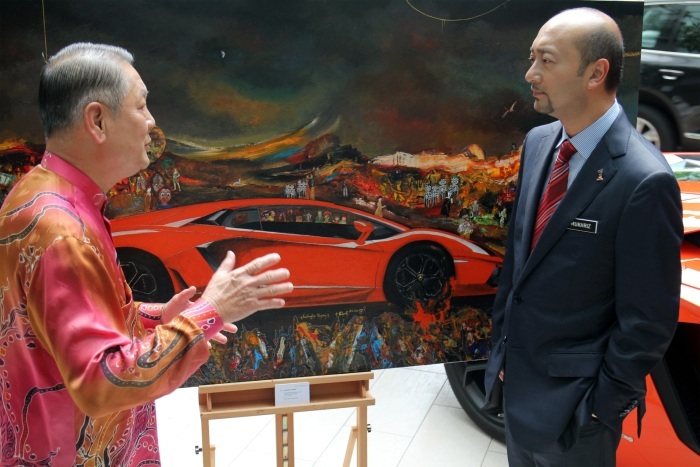 It was thus decided to have the painting auctioned by the main art auctioneer in Malaysia, Henry Butcher Art Auctioneers, to raise funds for the next stage of the project. The proceeds are being used to create a knowledge hub on Latin American arts at Balai Seni Visual Negara (BSVN). Please click here for the knowledge hub project with BSVN. If you are interested in having a portrait of your family, your race horses, your precious collectibles or your exclusive cars, planes or boats done, please contact us at info(at)fumanart.com.